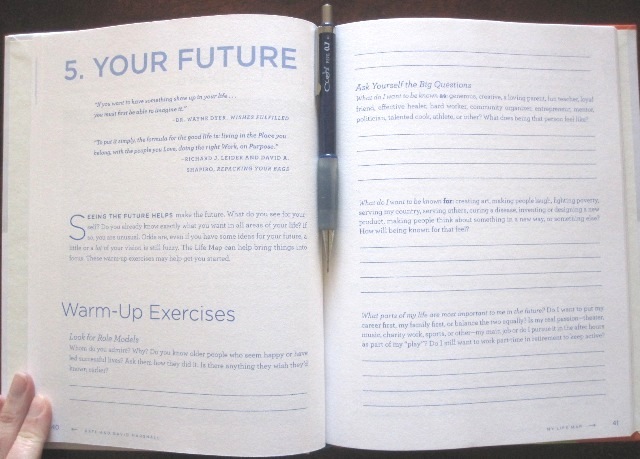 A lively discussion has been going on over on BlogHer.com about personal experiences with our life planning journal, My Life Map. We’re touched by the honest and sometimes deeply personal stories and reactions this group of woman share about what it was like for them to use My Life Map to examine their lives and begin to clarify what they need and want to live happy lives. We invite any of you using, or thinking about using, My Life Map to go join the conversation. Karen Ballum, the capable and funny Book Club leader, opens each discussion with a blog of her own experience with the book and then poses questions. 1. What Does Service Mean to You: What does service look like in your life map? Are you more likely to give time, money or both? 2. Lifelong Learning for the Win: What would you like to learn? 3. Making Play a Priority: How do you play? 4. The Ten-Year Map: What did you learn during your My Life Map journey? This entry was posted in goal setting, Life Planning, My Life Map on December 8, 2012 by Marshall Books.